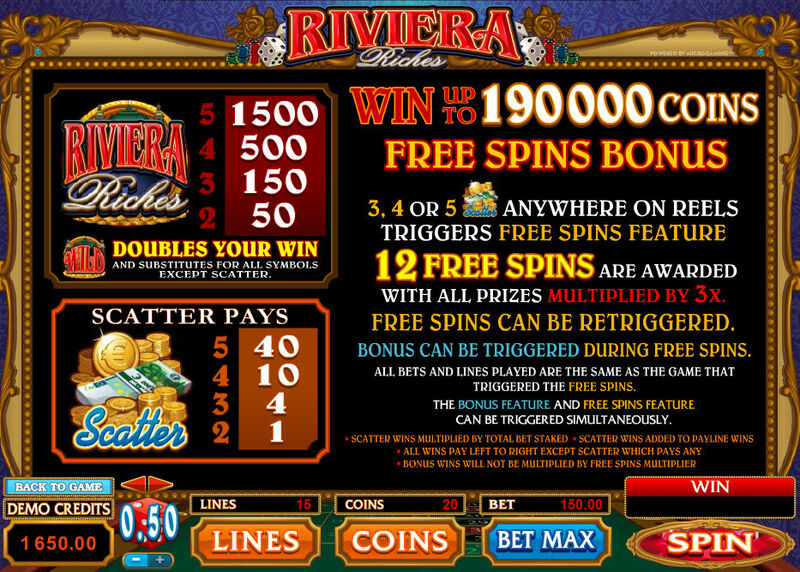 The Riviera Riches slot is a land based casino themed slot in 1950’s classic ambience that incorporates the famous Roulette Table Game into its Bonus Feature. 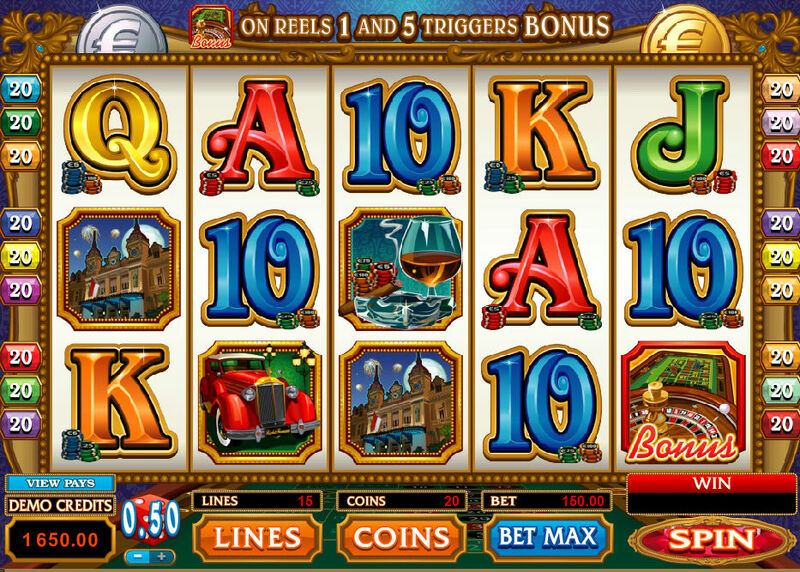 The Roulette Bonus game is awarded when the Bonus trigger symbol lands reels 1 and 5. You are then given spins on the Roulette win, doubling your chances to win big. You can then select 1 number out of 36 on the Roulette Table and spin the Roulette Wheel. You will win Big if the ball lands on your number. If not, you still have the opportunity to win on all corresponding bets associated with the selected number. That along with a guaranteed 4x multiplier at the start of the feature, ensures a fruitful win. Below are the Bonus Possiblities for Riveria Riches!